Our unique range of Ultra Low Temperature Deep Freezer holds a built -in power management system. We also provide our clients keyboard lock and password so that safety, security and protection is configured. High capacity air-cooled condensers with aerodynamically shaped fans and washable condense filter keep fine free of dust to maintain utmost cooling efficiency. 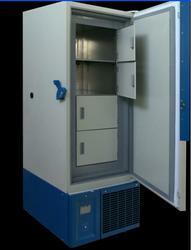 We Provide our Clients Low Temperature Freezer. our freezer has digital temperature display so that the temperature is maintained according to the requirements of our clients. We also provide our clients keyboard lock and password so that safety, security and protection is configured. Rotatable assistant door handle, door with key lock. Imported Danfoss compressor (1unit), 4-6 hours come to -152. very fast. 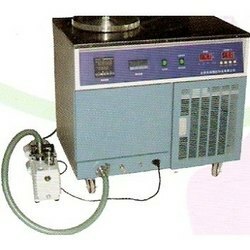 Our Ultra Low Temperature Chillers of -100 deg.C and -95 deg.C with German Danfoss compressors are widely used for parylene vacuum filmplating, chemical petroleum experiments, low-temperature liquid-bath, medicinal dessication, vapour-capturing and so on. 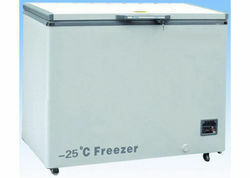 We are supplier of Low Temperature Freezer.